Trevor Pope started Day 4 of Event #2: $5,000 No-Limit Hold'em (Eight Handed) with half of the chips in play, and roughly four hours later, he had all of them. Pope eliminated six of his seven competitors at the final table, eventually besting David Vamplew heads up in just six hands. This is the Wisconsin native's first World Series of Poker gold bracelet, and the $553,906 score is the largest of his career. The day began with Pope slowly extending his lead. By Hand #23, he had nearly four million chips, and in Hand #34 he claimed his first victim. It was David Peters who open-shoved his six big blind-stack from early position with king-deuce of hearts. Pope called with queens in the hijack seat, and flopped a set. 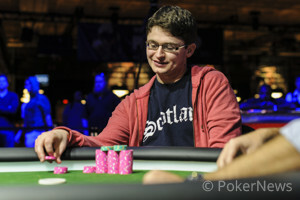 Peters was drawing dead on the turn, and hit the rail in eighth place, which was good for $48,130. Six hands later, Pope called a 415,000-chip shove from Brandon Meyers holding two aces. Meyers tabled ace-queen of hearts and flopped a flush draw, but the turn and river both produced blanks. 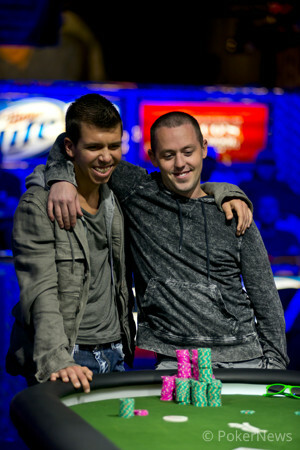 Meyers was eliminated in seventh place, earning $62,915. Pope's smoking hot run continued on Hand #44 when he binked a two-outer to eliminate 2010 WSOP bracelet winner Dan Kelly. Playing it coy, Kelly called a three-bet from Pope with two aces, then moved all in on the turn of a board. Pope turned over queen-seven, and sure enough the spiked on the river, eliminating Kelly in sixth place. The bracelet winner took home $83,552. Jamie Armstrong started to chip up during five-handed play, and was in great shape to push his stack to 1.7 million when he called an all in from Darryll Fish on Hand #58. Fish three-bet jammed with two sevens, Armstrong, the original raiser, called with two queens, and Fish ripped off a set of sevens on the flop. Armstrong received no help from either the turn or the river, and he was left with 11 big blinds. Two hands later, Armstrong was first to act and moved all in. Vamplew called in the big blind with ace-queen of diamonds, which dominated Armstrong's ace-three of spades. There was a three in the window of the flop, but it was followed by a queen and two bricks on the turn and river. Armstrong was eliminated in fifth place, banking $112,695. 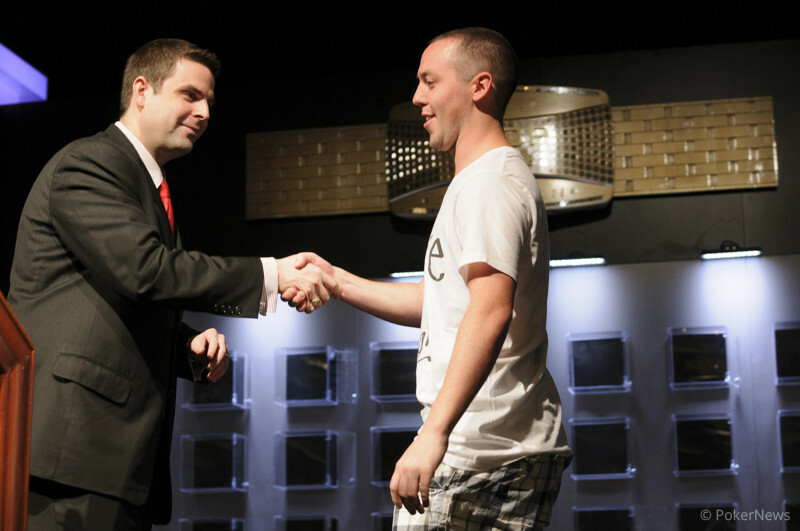 For the next 50 hands, Jared Hamby used selective aggression to chip up to 1.2 million. Finally, Pope called one of his three-bet shoves with ace-jack of diamonds, only to find out that he was dominated by Hamby's ace-king off suit. Pope grimaced at the sight of the hand, but his agony was only short-lived as the flop produced two diamonds. The turn was a third diamond, leaving Hamby drawing dead, and "TheWacoKidd" was off to collect $154,518 for his fourth-place finish. Three-handed play lasted seven hands. On Hand #117, Fish open-shoved for seven-and-a-half big blinds with jack-eight off suit. Pope woke up with two nines in the small blind, called, and held. After seven more hands, Pope was crowned the champion. Vamplew doubled on Hand #121, turning a set of jacks against Pope's two pair, but he was still at a 6:1 chip disadvantage. On the 124th and final hand, Vamplew called a three-bet shove with ace-six off suit. Pope tabled two fives, and five community cards later he was the owner of a WSOP gold bracelet. Congratulations to Pope, the second Wisconsinite to win a bracelet at the 2013 WSOP. We hope you enjoyed our hand-for-hand coverage of this final table, and urge you to follow our coverage for all of the 62 bracelet events this summer. For now, good night from Las Vegas! 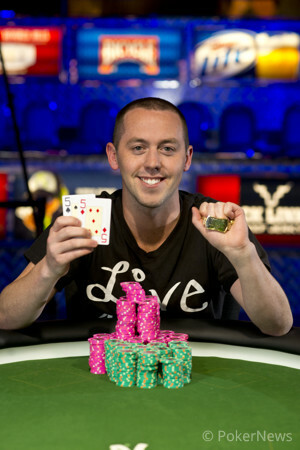 Trevor Pope won the first, open event WSOP gold bracelet today. He bested David Vamplew in a short heads up match. His dog Revis, joined the festivities to celebrate Pope's victory. This is the second gold bracelet ceremony for Revis, as he joined the festivities in 2012 when Joey Weissman, a friend of Pope's won his bracelet. On the seventh hand of heads-up play, and the 124th hand of the final table, David Vamplew raised to 100,000 on the button. Trevor Pope moved all in for effectively 940,000, and Vamplew called. Vamplew was racing for his tournament life, Pope for a bracelet, and the flop fell . Vamplew picked up three more outs to survive, as any jack would counterfeit Pope's small pair. The turn was the , giving Vamplew another three outs, but even with 12 outs, it wasn't enough. The bricked on the river, and it was all over. Vamplew will receive $342,450 for his runner-up finish. Hand #122: Trevor Pope received a walk. Hand #123: Pope raised to 100,000 on the button, and David Vamplew folded. Hand #118: Trevor Pope received a walk. Hand #119: Pope raised, and won the pot. Hand #120: David Vamplew moved all in, and Pope folded. Hand #121: Pope raised to 100,000 on the button, Vamplew called, and the flop came . Vamplew check-called 100,000 from Pope, the turn was the , and Vamplew checked again. Pope moved all in for effectively 310,000, and Vamplew snap-called. Pope flopped two pair, but Vamplew turned a set of jacks. Vamplew held when the completed the board, shipping a much-needed double up. 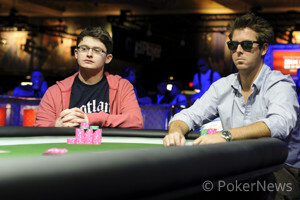 Hand #117: Darryll Fish moved all in for 375,000 on the button, and Trevor Pope called in the small blind. Fish needed a jack or a combination of cards to survive, but received neither as the board came . 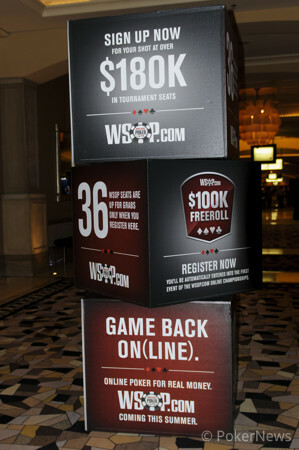 Fish was eliminated in third place, earning $215,286.